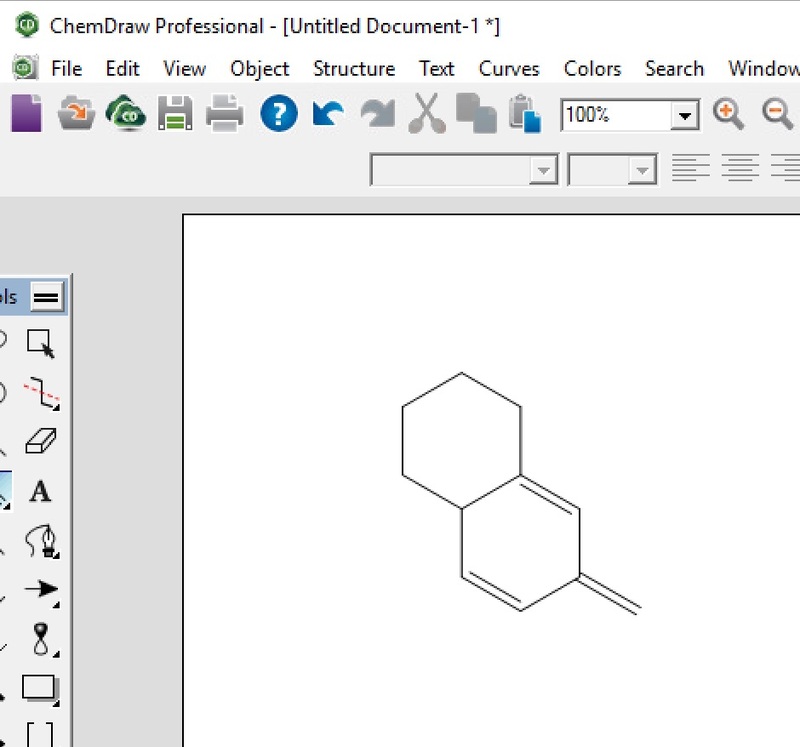 Create your chemical drawing, either a single structure or a reaction. Select 'Select All' under the Edit menu. 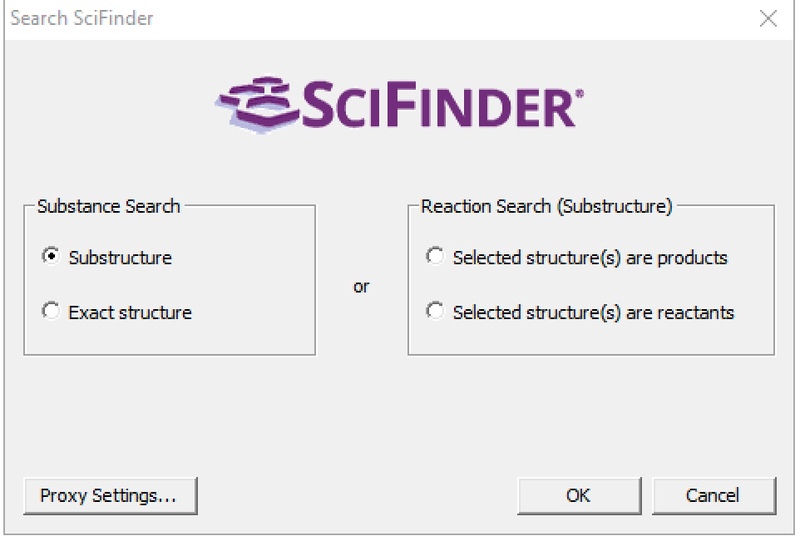 Click on the Scifinder tool in the toolbar. In the lower left of the 'Search SciFinder' window, click 'Proxy Settings'. 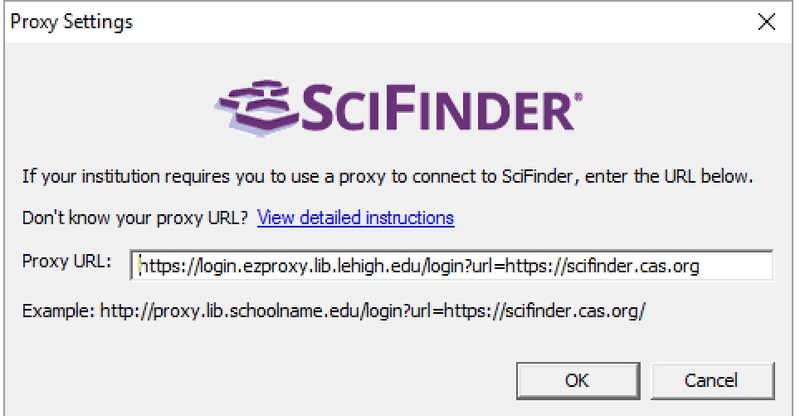 In the 'Proxy Settings' window, enter 'https://login.ezproxy.lib.lehigh.edu/login?url=https://scifinder.cas.org' in the 'Proxy URL' box, and click 'OK'. Use the radio buttons in the 'Search SciFinder' window to specify the type of search, i.e. substructure / exact structure, or reactant / product, and click OK. If you are logging in from off-campus without using the VPN, you will see an authentication page that looks like this. Enter your Lehigh credentials, and click 'Submit'. 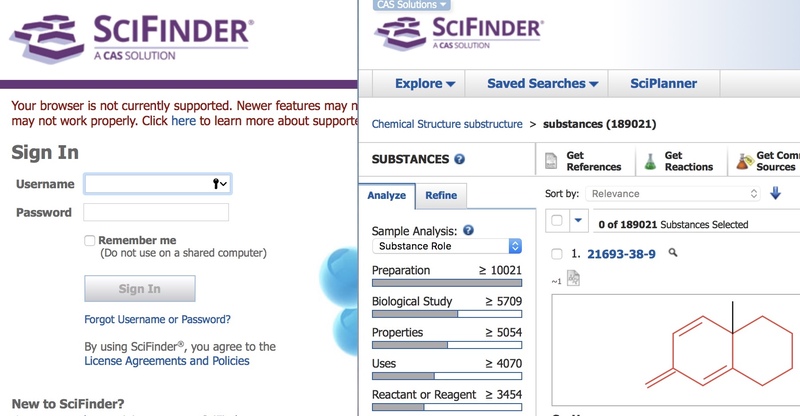 At the SciFinder login page, enter your SciFinder credentials. Click 'Continue' to proceed to your answer set.